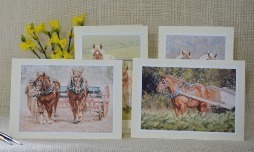 A wonderful selection of my artwork: from delightful original paintings, to a beautiful array of prints, and charming hand-made greetings cards. 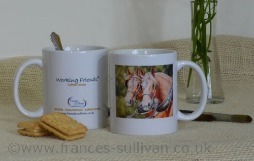 Other treats or gifts, include a mug, mini prints, coasters and tote bags: all from my artwork. 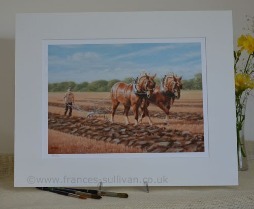 Many feature the magnificent but critically endangered Suffolk Horse. You will also find a variety of pets: such as guinea pigs, farm animals: including sheep, goats, pigs, cattle and wildlife from the UK and further afield. Beautiful large prints with more impact to fit a 20 x 16 mount.